In common terms, to camouflage something is to alter it's appearance to the point that the object in question is indistinguishable from it's environment. The purpose of camouflage is to remain undetected, for either the purpose of stalking or hiding. 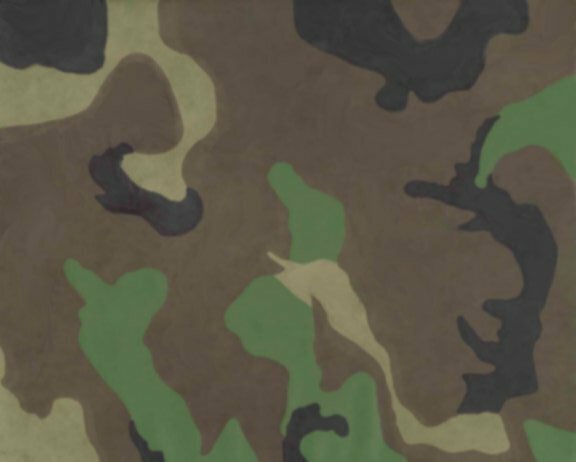 The term "camouflage" is based on the root word "Camoufler" which is a french term which means "to disguise". Camo is a commonly used slang word for camouflage. Some animals display natural camouflage. The examples that come to mind are numerous. The flounder, for instance, blends in perfectly with the ocean floor. Another way animals employ natural camouflage is to appear to be something dangerous or poisonous, such as the way the nonpoisonous scarlet king snake mimics the coloration and mannerisms of the poisonous coral snake. The idea of using camouflage in military uniforms occurred to british military forces after observing the way irish gamekeepers used ghillie suits in the late seventeenth century disguised themselves in order to locate and stalk game. It is, however, more than likely that other earlier civilizations employed camouflage for the purpose of hunting long before it occurred to the few groups of irish scouts that were utilizing it at the end of the seventeenth century. Oddly enough, camouflage has not always been employed by western military units. Up until the nineteenth century, armies commonly utilized bright colors and flashy uniforms. Their thinking was that impressive garb would not only boost morale, but would also reduce the instances of friendly fire, due to the easily identified uniforms. The increased range and accuracy of weapons that came about at the end of the nineteenth century made camouflage a necessity. Today it is commonly employed by military and paramilitary units, as well as hunters.